Why is South African Customs Modernising? Traditionally border or customs control is exercised to ensure the collection of taxes on imported and exported goods, to combat cross-border crime and generally to protect a country’s sovereignty and people and to enforce its laws. 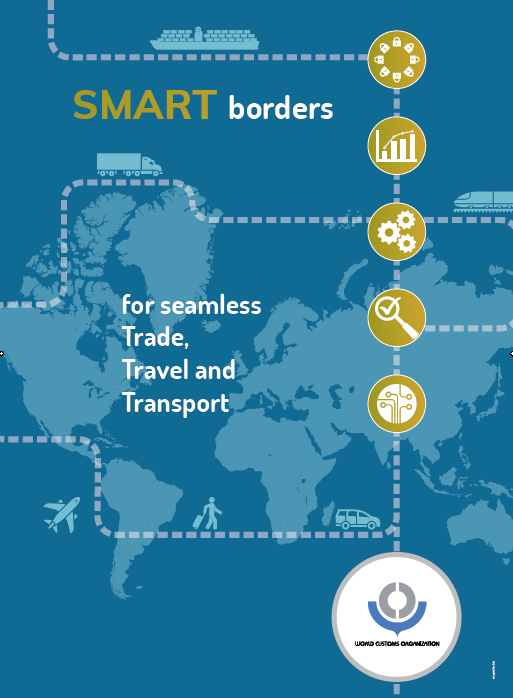 With the advent of globalisation, a changing world environment and the importance of international trade and tourism, there is increasing pressure worldwide on countries to work towards a better balance between their needs for rigid customs control and the facilitation of the international movement of travellers and goods. Whilst the need for an effective customs control system as a mechanism for revenue collection, protection of society and combating of crime is not denied, the international trend is to modernise customs systems in order to minimise their disruptive effect on legitimate trade and tourism as much as possible. This is to be achieved through simple, predictable and efficient customs systems and by optimising available technology that would neither compromise the traditional objectives of customs control nor disrupt the flow of goods and people between countries. What is Customs Modernisation about? Simplification and harmonisation of Customs procedure. Standardisation of customs procedure across trade modalities (air, sea, rail, land). Automation of key customs processes – import/export customs clearance, advance electronic notification of impending goods arrival/departure, and secure recording of goods movements. Clearance of goods via an incomplete or provisional declaration, subsequently followed by a supplementary clearance revealing final/correct information. Each of the above are designed to streamline the customs clearance process and offer an improved experience and service to the trader. An integral part of the new customs process is the introduction of a proper automated risk management system. Without risk management, Customs would be bound to check each and every consignment entering or leaving the Republic. The Customs Risk Engine will therefore provide the nucleus around which import/export transactions may warrant scrutiny or detailed checking by Customs. In this way, non risk related shipments will receive a green light for release and onward movement to their destination. The final, but most important component of the Customs Modernisation Programme relates to customs staff and their development towards administering a new customs dispensation. Will electronic clearance be available to smaller traders and enterprises as well? Yes. In excess of 90% of commercial import/export transactions are cleared electronically through Electronic Data Interchange (EDI) with customs today, the bulk of these through the use of a licensed customs broker. SARS Customs has more than 30 years experience in electronic clearance with the customs business community. Over this period, the cost of automated customs clearance has been reduced dramatically and should easily be within the capital outlay of any serious broker or trader. For traders or people who trade less frequently, SARS will maintain a manual capture channel at certain SARS branch offices to assist with the capture, validation and assessment of an import/export clearance declaration. What is the significance of modernising the Customs legislation? The current Act has been extensively amended over the years to keep pace with new approaches and to soften and modernise the system, the basic structure of the Act remained unchanged and still contains a strong undercurrent of rigidity reminiscent of the era in which it was written. As such it is not structurally suitable to serve as a vehicle for implementing a modern system of customs control in accordance with current international trends and best practice. A fundamental restructuring of the customs legislation will give effect to Kyoto and other binding international instruments and also establish a sound, clear and logical legislative framework that would enhance and “speak to” the many other legislative instruments that rely for their implementation on customs control. Will Customs Modernisation improve international trade for South Africa? Yes. Leveraging off more than 30 years of customs automated clearance SARS is about to implement the single biggest change to its operating model in history. Not only does the change signal improved alignment with international customs best practice, but so will its systems support the features required to enable importers and exporters to move their goods in the most expeditious manner. A revamped client accreditation and authorised economic operator programme is being developed to provide differentiated services for customs stakeholders across the spectrum of the supply chain. SARS will be providing a variety of entry channels to the trade for communication and transactional purposes. For instance, SARS will provide web-based facilities similar to its already well established E-Filing, e@syFile, and easyScan products, to members of the customs community. How will the new Customs changes affect our neighbours? The outcome of Customs modernisation in South Africa implies a full electronic paperless trading environment. SARS is acutely aware that many of its neighbours are not at the same state of development. SARS is at the same time working with its neighbouring partners to provide both interim and long-term solutions to improve the cross border customs experience. Special task groups exist in both SADC and SACU to address these issues. Ultimately, SARS envisages the exchange of electronic clearance information between itself and its neighbours to radically improve clearance turnaround times and efficiency of customs formality at borders. What does Customs Modernisation mean for South African business? It is anticipated that the crossover from current to new will be a significant change for the business community. SARS is working with stakeholders to address these expectations. Click Customs Procedure information for available downloads. How is Customs Modernisation going to affect our ports, airports and land borders? The ability for a trader to apply for customs registration, licensing and accreditation electronically and to maintain his/her/the company’s profile with SARS. The ability for traders to submit any supporting documentation electronically to SARS. In addition to its existing scanning facilities, SARS has provided industry IT service providers various artefacts for the incorporation of SARS-standard document scanning and submission software that will enable a trader to submit any documentation required by SARS from his/her own desktop. This immediately obviates time and costs. The development of a new Customs Declaration (Form CD1) and Customs Notification (Form CN1). These forms are being developed on Adobe™ technology and will provide a similar dynamic look and feel to the existing Tax forms in SARS. One of the key attributes will be the functionality of a secure barcode which appears on the CN1 form. This will in future enable the carrier of goods to scan the barcode at the place/port of exit allowing him safe passage and automatically acquit the transaction, provided no risk is triggered by the customs system. What are the time frames for such change? Any Customs Modernisation programme is a multi-year project. With significant development already underway on the new technology solution, SARS has taken a pragmatic view towards implementation. Implementation of the new Customs Procedure Codes at all ports of entry as well as certain enhancements regarding the reporting of information to the SA Reserve Bank, an a facility to request for resending of a customs release notification – all on the current Customs’ technology backbone. This will involve at least two months of system testing between SARS and the external trade IT service providers. Based on the outcome of such testing a joint decision will be made on when to go live. Industry exposure – Importers, Exporters, Customs Brokers, Release Authorities and the SA Reserve Bank. Electronic supporting documents – will include the provision of SARS E@saySCAN and E@asyPACKER to service providers for integration into their IT systems for the local import/export and freight forwarding community. This will allow traders to electronically submit all supporting documents to customs, unpend the related inspection case, and allow the customs officer to finalise the case. Introduction of a new customs user interface (Service Manager) for customs officers. The functionality offers customs assessment officers and inspectors the ability to initiate a document or physical inspection, compile inspection reports, initiate status notifications to traders, and the maintainance and tracking of cases assigned to them. Finalisation and testing of new customs clearance declaration (CD1) and notification (CN1) dynamic forms. Introduction of the new SARS Single Registration system – will allow customs traders logon and access to SARS web and manage their registration, licensing and accreditation profiles. The new system will also introduce a single SARS identification number for a trader accross his/her customs and tax products with SARS. Implementation of Customs new Cargo Management System, which effectively will replace the existing MAS system. Full ‘real-time’ integration between cargo manifests and goods declarations will occur at a later date. A radically updated legacy customs declaration processing system which is interfaced to Service Manager. Implementation of 9 new CPC combinations and several new data fields to the customs declaration format. Implementation of the new integrated customs tariff system. This will effectively replace the current loose leaf tariff system and the customs tariff master. Duty calculations will be possible accross all schedules of the customs tariff. The Prohibited and Restricted list will also be available alongside the appropriate HS tariff headings. From a user perspective, not only will the new system perform customary duty calculations and validations against declarations, but will also provide tariff lookup and duty calculation features on-line to internal and external users. Industry exposure – Importers, Exporters, and Customs Brokers. Implementation of the new Customs Control and Duty Acts. New integrated Customs declaration processing system -TATIScms. New warehouse, home and inward processing systems. Integrated cargo and clearance declaration management. Integrated account and revenue management. Increased 3rd party data usage. Integration of other government agencies. Introduction of full Single Window – introducing the use of the new WCO GOVCBR EDI message. How is SARS engaging its stakeholders about the Modernisation Programme? SARS has engaged a core group of stakeholders over the last year and a half. The nature of the engagement primarily focused on the content of the draft Customs Bills as well as systems related matters. Such engagements have occurred regularly on a weekly basis. The interaction has been significant and important for SARS in the finalisation and development of its law, rules, procedures and ultimately its systems. Going forward SARS envisages a continuation of this engagement and the possible introduction of sector specific focus groups to look at industry requirements. SARS benefits from a locally developed solution based on international best customs practice. SARS is protected against commercial exploitation as it will own the IP and share in the upside of future license sales. The creation of a successful strategic asset for South Africa. The solution can be developed to service the ‘African’ need, e.g. SACU members. To ensure the long-term sustainability of the TATIScms customs and border management product, SARS has purchased the full rights to the TATIScms software and will through a wholly owned subsidiary company further develop and implement the solution within SARS, as well as for other potential customs administrations in Africa and globally . SARS has also formed a business relationship with local software developer TATIS Africa (Pty) Ltd to market and implement the system internationally. As part of the deal, approximately 60 employees of TATIS Africa have transferred to SARS’s new customs development company called InterFront, to work on the development and implementation of the solution full time, boosting SARS’s customs and border control technology expertise. The purchase of the intellectual property and software coding of TATIScms was approved by National Treasury and the Minister of Finance and followed a six-month due diligence investigation into the product. By purchasing the full rights to the system, SARS will have autonomy in the customisation of the product for its own use and can allow for the use of the solution by SADC member countries at no additional licence costs. It also stands to benefit from any future sales of the customs platform internationally and future enhancements. How will SARS ensure that on go-live date South Africa doesn’t find itself in a similar situation as in Australia, where seaports where ‘log-jammed’ for days due customs’ system teething problems? Over the past 12 months SARS has been actively engaging importers, exporters, brokers and release authorities concerning the switch over from manual paper-based trading to electronic communication of information through Electronic Data Interchange. The uptake by the business community has been nothing short of phenomenal. To a large extent this has placed the trade in a fortunate position of accomplishing key compliance requirements ahead of the implementation of the new customs system. The first phase is focussed specifically to bring both internal staff and external traders up to speed on the use of the new Customs Procedures. While the impact on systems development/enhancement and staff training are critical, SARS views this less of a risk as opposed to implementing its new system and new legislation in one big bang. In regard to interim arrangements, SARS will invoke Section 119A of the Customs and Excise Act (which provides for customs modernisation) to give effect to the operation of Customs Procedures. To support this impact SARS is developing a new Customs clearance manual for traders to facilitate the change. Also, SARS hopes to extend its outreach to staff and trade through use of an e-learning programme designed to help users acclimatise themselves with the new Customs Procedures. The second phase has more of an internal SARS focus wherein the organisation plans to switch on its new customs solution and phase out the old. In tandem with this launch, SARS anticipates implementing the new Customs Act and subordinate legislation. SARS Customs staff will have a brand new user interface that will require dedicated training. On the other hand, managers are already familiarising themselves with the new provisions of the draft Customs Bills. Given the planned ‘parallel run’ of SARS new and old customs systems, and the extended testing of the new system, SARS will perform the switchover once it is satisfied that the new system dovetails the functionality of the current legacy systems. The new solution is expected to give vastly improved reliability, performance and interoperability with other internal systems making the staff’s work more satisfying and predictable. For traders, the recent introduction of the new EDI gateway, the flexibility of the new Single Registration system, and the ability to perform almost all transactional activities electronically with SARS should benefit day-to-day customs formalities and hopefully reduce unnecessary overheads which eat into profit margins. In other words, a reduced cost of compliance. When will Excise processes and documentation be integrated into Customs modernisation? At this point I can give no timeframe. There’s talk of modernising Excise on its own with its own Excise control Bill. I will however try to establish some clarity as the MIDP industry for instance sits between Customs and Excise which are essentially separate business units. Have you had any luck in finding out when excise processes will be modernised? Until they are I fear you will continue to lose revenue on excise goods – cigarettes and alcohol in particular. There’s no word in regard to a new Excise Control and Duty Bill, however there is a move to make provision for excise procedure codes, along the libes of what was implemented for Customs in November last year. This will basically bring excise tranactions in line with the customs process. It will however not aleviate any issue in regard to excise collections. My view is that the bigger issue is the disconnect which exists between the customs and excise processes, and the impact this has for the legitimate excise manufacturer. It is an issue which SARS is acutely aware of, but like all things, there’s is a limit to the extent at which an organisation can modernise. In terms of pure revenue and customer focus, it makes sense and logic to consider modernisation in the excise domain, after all it brings in more revenue than Customs. Nevertheless, besides revenue collection the worlwide focus on customs and supply vhain security far outweighs (politically at any rate) the need to focus on excise. The excise community indeed have my sympathies, but then its politicians and intellectuals who make decisions these days, not business and administrators. Thanks for your response. I am not surprised. Excise tends to take second place to Customs all over the world then politicians and senior officials wonder why they lose so much revenue to illicit trade. Shame too that Customs and Excise are still split within SARS. I agree with you that the processes and procedures (plus the overall risk targetting) needs to be combined if you are to make effective inroads into the revenue problems. This is a nice post. But i would like to get some information about the African Customs and their interactions with Shipping lines/ Carriers/ Frieght Forwarders. I have the following queries which raised when one of our client was facing issues in EDI submission to African Customs. 2. How does normally the liners, carriers & frieght forwarders pass through the Customs Processing after introduction on IT systems for the past two years ? 3. Does customs impose any strict restrictions on their lines/carriers/forwarders to follow different standards at different places (meant states ) within Africa. I would request your brief instructions / advices on how to pass through the African customs by using their IT systems. If you could post any article or help me to some information on this, it will be of great input and help to us.